Showing recent results 2881 - 2895 of 4490 products found. 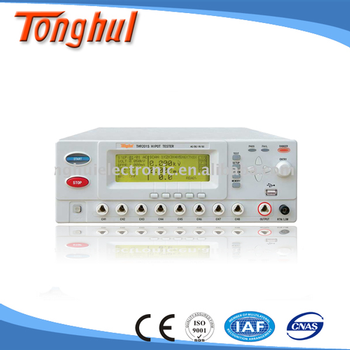 TH9201S - Tonghui Electronic Co., Ltd.
TH9201S AC/DC withstanding voltage & insulation tester is a kind of Hipot Tester. Due to simple and compact structure, mature technique, brand new structure and operating interface, the operation becomes more convenient, and more practical functions are included as well. TH9201S can be widely applied in transformer, device, component especially for winding safety inspection. The IPTV Test Option for the QuickTest 500 IPTV Tester is ideal for the installation, maintenance and commissioning of IPTV services. The QuickTest IPTV Tester (Test Option) helps you quickly find service problems such as: Excessive Network Jitter, Packet Loss, Bandwidth Issues, Channel Change Delay, Missing Channels, Poor Quality of Service. SFK061 - Shanghai Launch Electric Co., Ltd.
UL94 Horizontal & Vertical Flammability Tester, used to determine the flammability of plastic materials for parts in devices and appliances. 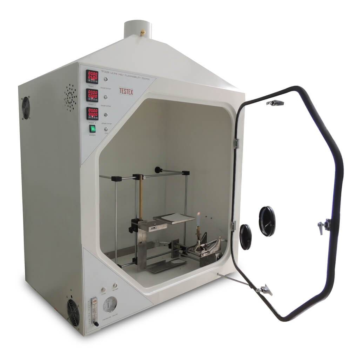 UL94 Horizontal & Vertical Flammability Tester complies with UL HB, UL94, IEC 60695-11-10, etc. Contact us for UL 94 flammability test procedure. Crease Recovery Tester & Loading Device. To determine recovery properties of fabrics by creasing in a loading device for a predetermined time using a weight suitable for the test method specified (BS, ISO, AATCC). After transferring the specimen to the clamp of the tester, the specimen is allowed to recover and the angle of recovery recorded. 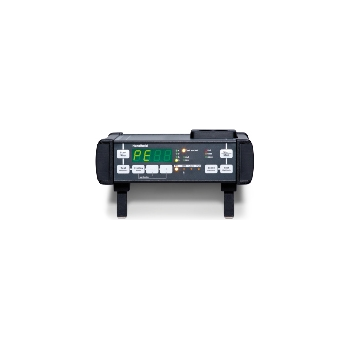 The UTS-325 provides the sophistication of a high end universal tester in a cost-effective bench top package. 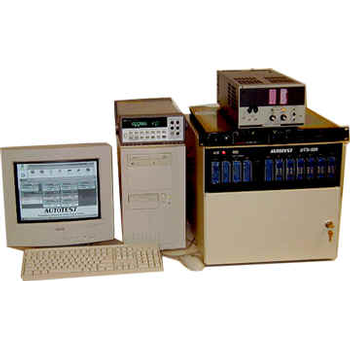 Like all testers in the Autotest UTS family, the UTS-325 offers a comprehensive instrument package capable of meeting any power supply testing need. 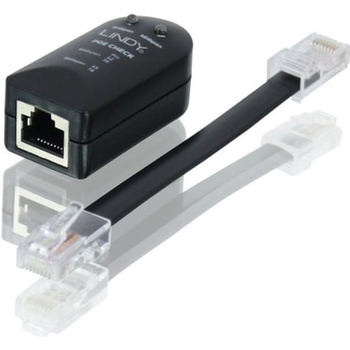 The LINDY Power over Ethernet (PoE) Tester is ideal for quickly identifying if an RJ-45 outlet has PoE voltage. 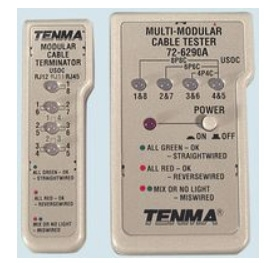 Simply connect the tester and the relevant LED will show depening on which type of PoE system is used. It can detect if the PoE is End-span, Mid-span or 4-pair by identifying the type of PSE (Power Source Equipment) used. 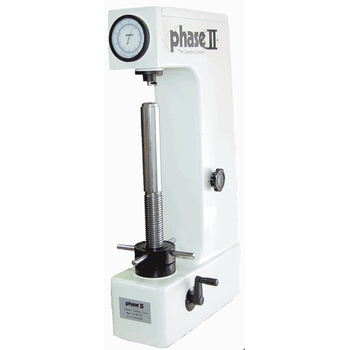 This hardness tester comprises the very best in "state of the art" design along with dynamic precision only found at Phase II. The 900-332 Rockwell scale hardness tester is easy to operate, yet engineered to obtain highly sensitive and accurate readings. 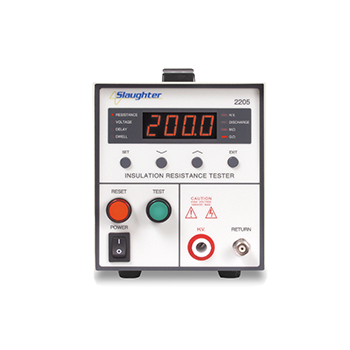 2200 Series - Slaughter Company, Inc. 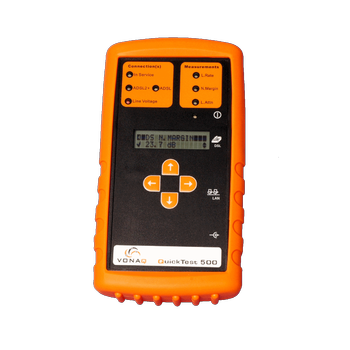 The 2205 is a stand alone Insulation Resistance tester that provides measurements up to 200 Gigohms at voltages up to 1000 VDC. 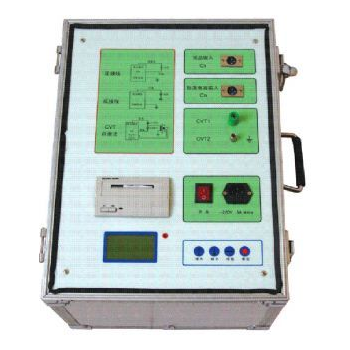 A robust production line Insulation Resistance tester, the 2205 features a LED display, menu driven parameter control, electronic dwell, PLC remote control and a memory for parameter storage. The Foam Portable Tester has been designed by Com-Ten for your quality test on spray applied polyurethane foam (SPF). It allows you to evalutae easily on the field the quality of the foam sample. With our foam tester, there is no more downtime wating for laboratory results; do it yourself saving time and money. 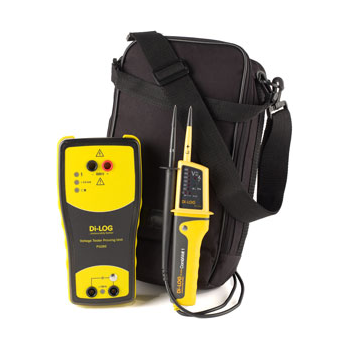 The safety testers of the Handheld class are used to measure PE/ Ground resistances, insulation resistances and to perform a simple functional test. 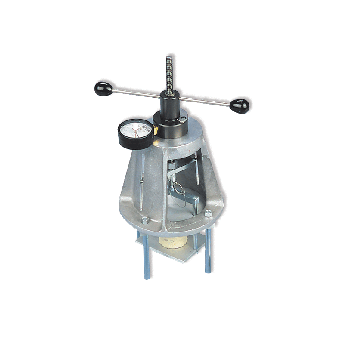 The small and sturdy universal testers are intended for standard-compliant safety tests in workshops and production as well as for mobile operation during repair, installation, service and more.